Robert Barnum AKA the Cantankerous Chef sent me an email about a recent event at his place, Possum Trot Tropical Fruit Nursery. Text and photos by Robert. 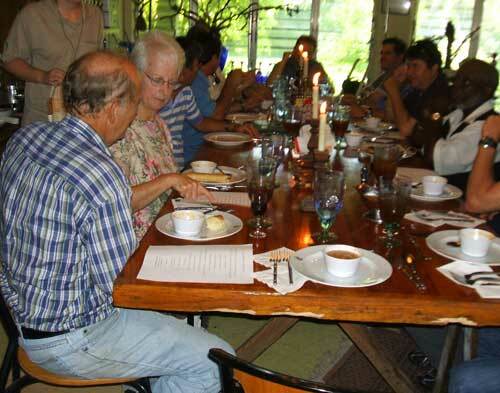 Possum Trot hosted 16 Brazilian farmers for lunch and a tour on October 28th. 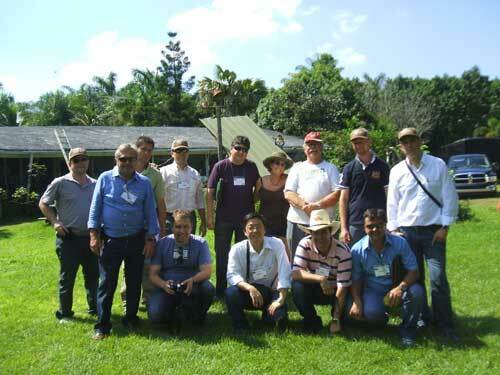 They were on a South Florida farm tour after attending the PMA (Produce Marketing Association) meeting in Orlando. The farmers first visited Burr’s Berry Farm, and owner Charles Burr and his wife accompanied them for lunch here. Stuffed jackfruit pouches and boiled jackfruit seeds, with pumpkin sauerkraut soup, and wood oven fired bread sticks started out the meal. 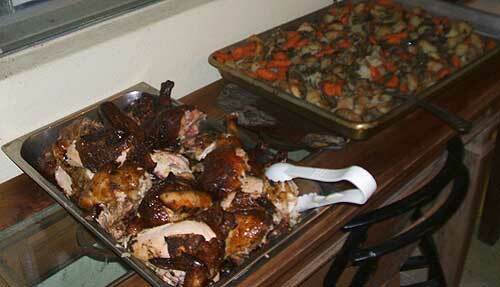 Wood oven roasted betel potato and carrots, and carambola glazed wood roasted chicken followed as the main course. Carambola pie with cas guava ice cream finished the meal. Homemade jaboticaba and bignay tropical fruit wines accompanied the meal. A tour of the plantings finished my portion of their farm tour day of South Florida. The Cantankerous Chef would be delighted to host your next event. Lunch or dinner includes a tour of his 40 acre grove of tropical fruit trees. For information and reservations, call Robert Barnum at 305-235-1768 or email possumplentious(at)yahoo.com. 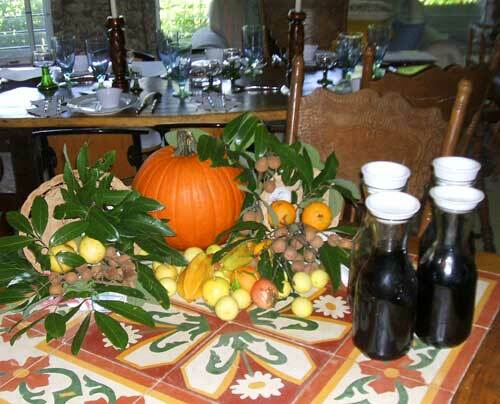 Tropical table setting of cas guava, star fruit, longans and rangpur limes, all grown at Possum Trot. Carafes contain jaboticaba and bignay fruit wines. Only the pumpkin isn't local! Brazilian framers and the Burrs seated at the rustic table in Robert Barnum's home. 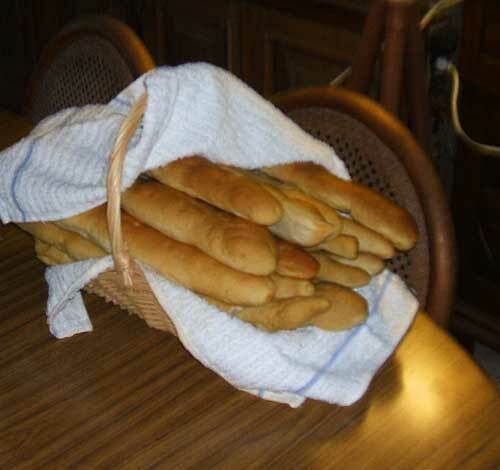 Bread that had been baked in the outdoors wood oven. Wood oven roasted chicken, and betel-seasoned potatos and carrots. Brazilian farmers with Robert Barnum (back row, third from right).